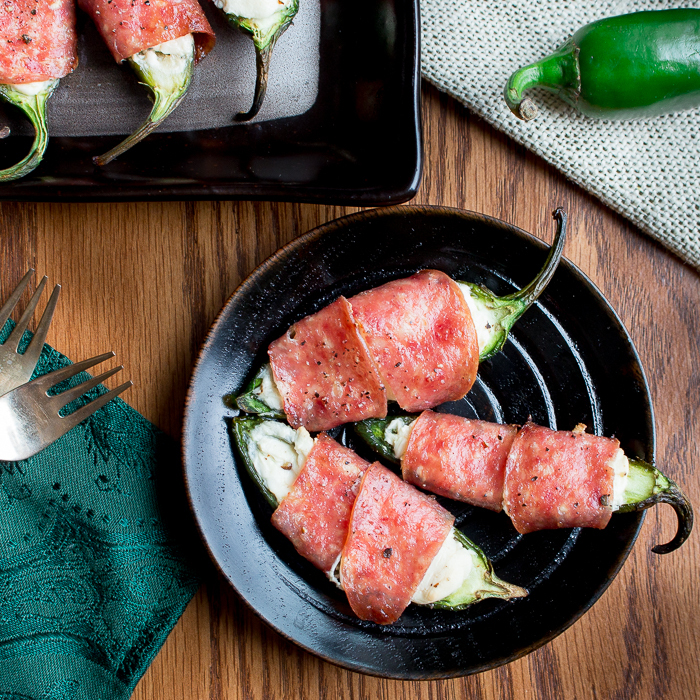 Baked Cheesy Salami Wrapped Jalapeños is a low carb hot out of the oven treat perfect for any gathering. 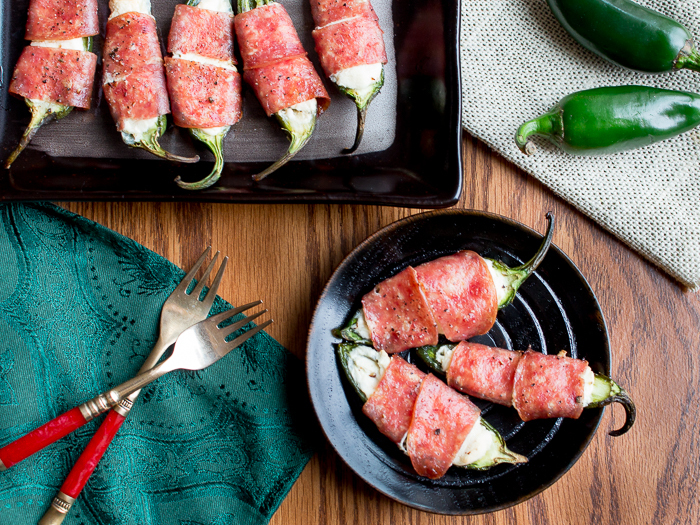 Saturday Football games, unexpected guests and late night munchies all need delicious baked cheesy salami wrapped jalapeños. 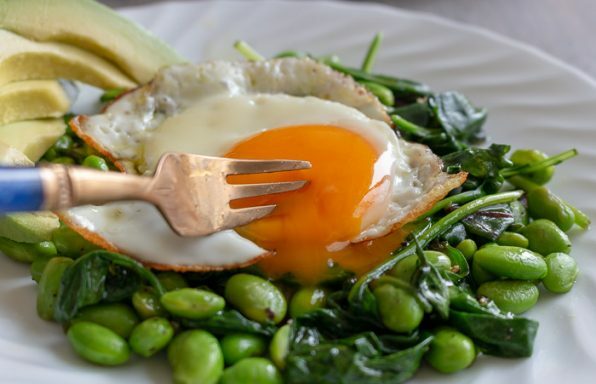 Only 4 ingredients, about 20 minutes in the oven and you are good to go. What is not to like about that?!? 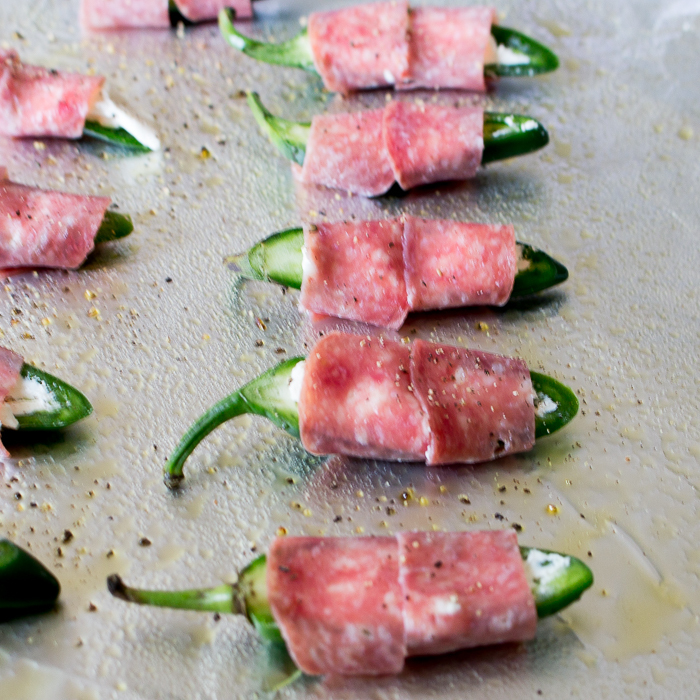 We know that many people wrap their poppers in bacon but they do not get that crispy but baked salami is perfect as it takes less time in the oven to get crisp. 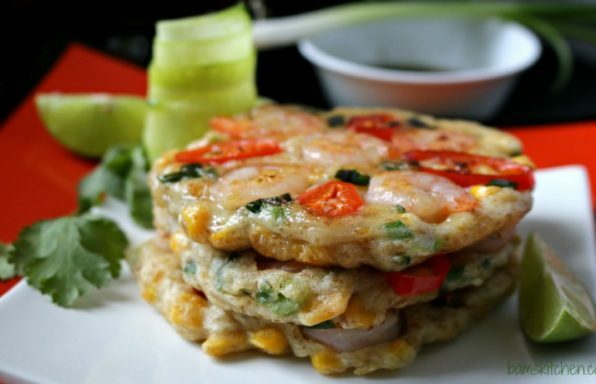 There is not deep frying mess or added carbohydrates just peppers, cream cheese and salami. We added a little sprinkle of oregano and freshly cracked pepper just because we felt like it but it is not required. You start off by cutting all the jalapeños in half and removing the seeds and white pith to reduce a little of the heat. Sprinkle with seasoning and pop it in the oven for about 20 minutes and ta da.. 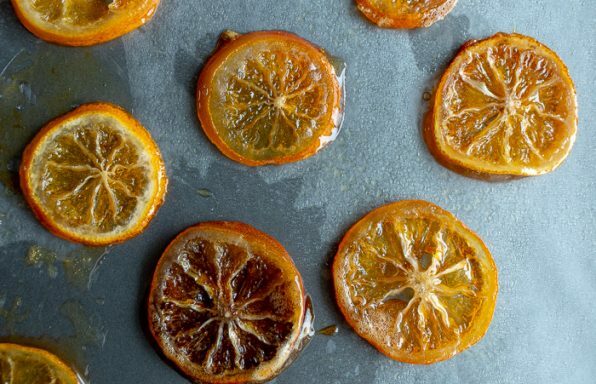 Your hot out of the oven appetizer is ready to be served. 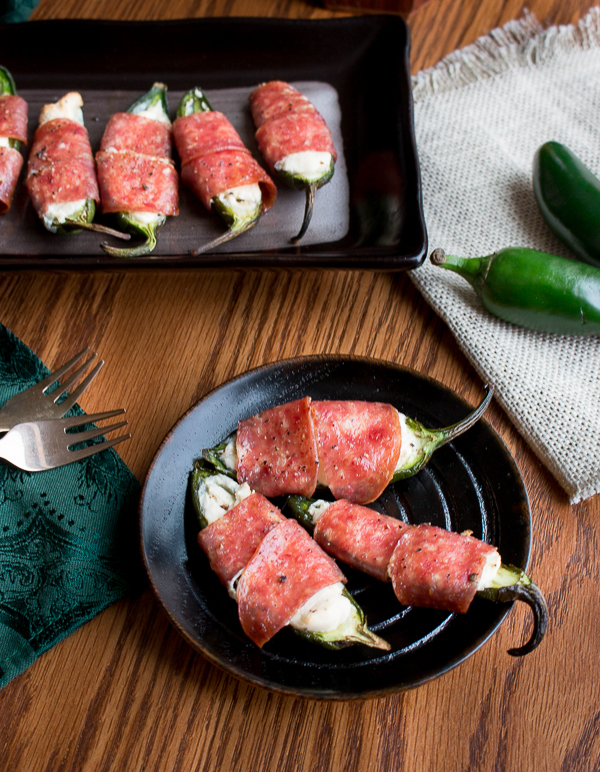 If you are looking at timing your Baked Cheesy Salami Wrapped Jalapeños appetizer, you can either prepare them before the start of the game and bake while you are watching the game or prep during half time and bake. Choice is yours. is quite simple to throw together. 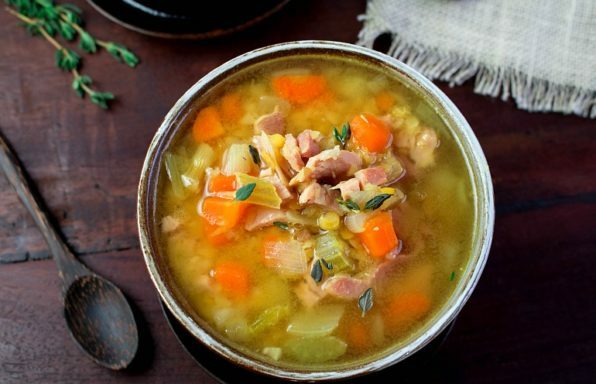 When the weather is cooler it is always nice to have a few hot appetizers. Be sure to also try our Spiced Nut Mix , Feta Stuffed Mini Peppers and our Traditional Baba ghanoush or your can consult our appetizer section to see if something suits your fancy. 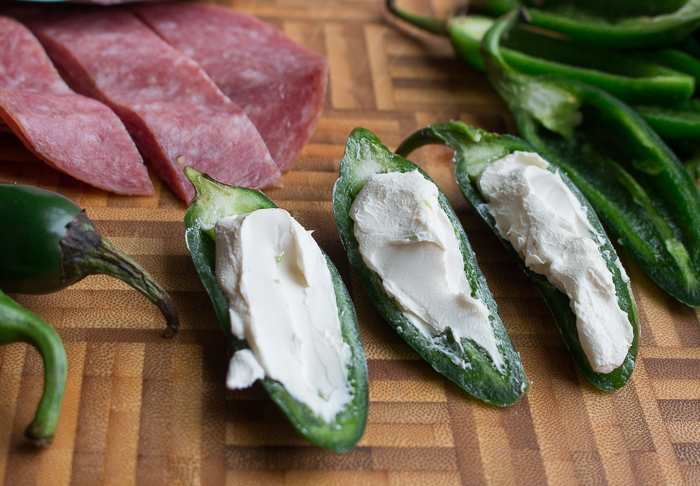 Cream Cheese – 4 to 6 ounces depending on how big your jalapenos are. 2Stuff each halved jalapeno with a little of the cream cheese to fill. 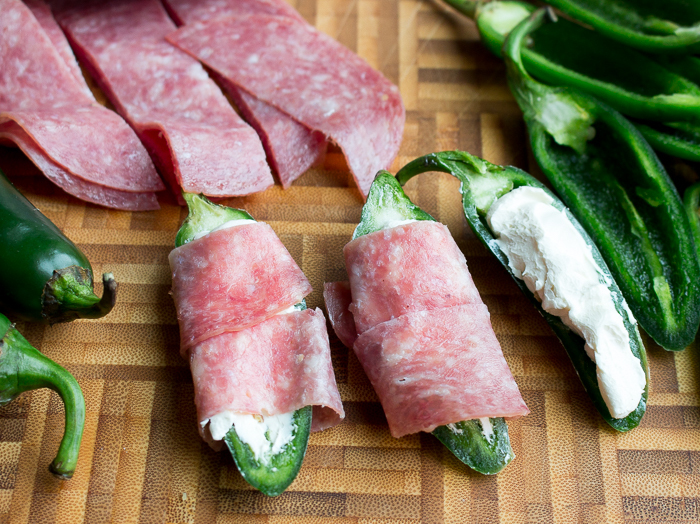 Wrap 2 of the pieces of sliced salami around each stuffed jalapeno pepper. 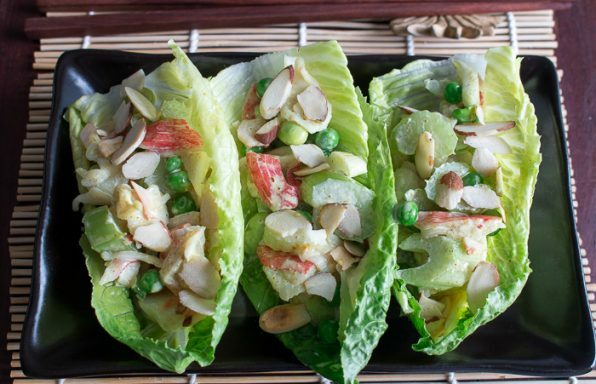 Wrap tightly, no toothpicks needed. 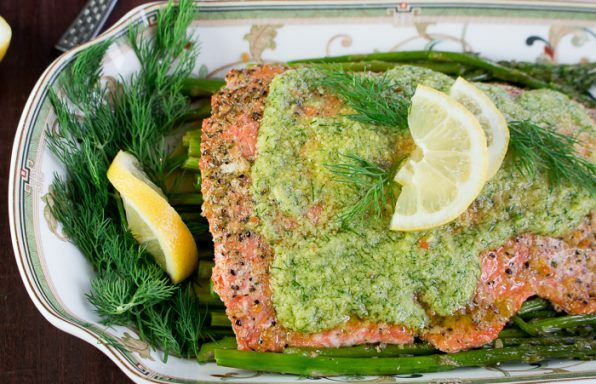 3Season with oregano and pepper and place on a greased baking sheet. 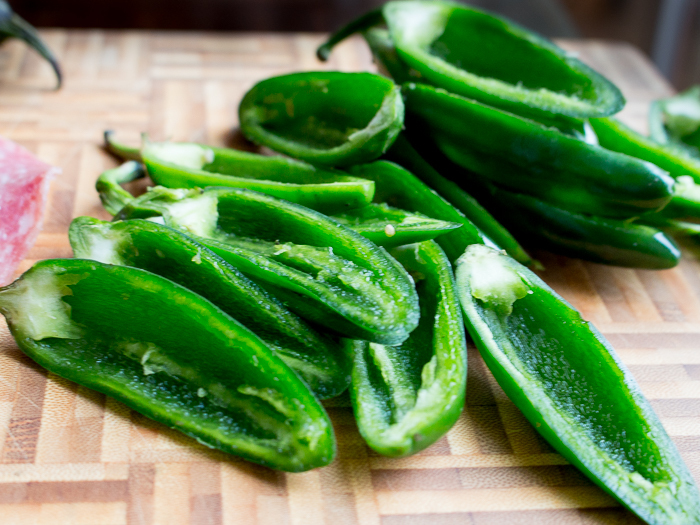 4Bake for about 18-20 minutes or until jalapenos are fork tender.